Readers of these pages may recall my criticisms of claims of catastrophic anthropogenic global warming, especially the findings of the Intergovernmental Panel on Climate Change, and the ranting of that patron saint of catastrophe, Al Gore. During the last year, the world continued to cool slowly as it has for 10 years, while carbon dioxide emissions increased unabated as they have for decades. These opposing trends highlight a dilemma for human-caused global warming advocates and skeptics alike: Advocates have a poor case for government-mandated energy restrictions, yet skeptics are hard put to defend doing nothing. This year will indeed be slightly cooler than last year, which was slightly cooler than the year before. In fact, 2008 is the coolest year of the century. This is despite documented ongoing biases in measured land temperatures that falsely increase apparent warming. Sea levels receded in a surprising reversal of centuries-long trends; Arctic sea ice rebounded to its level of five years ago; and we logged another unremarkable hurricane season. New science developments strengthened the case against the IPCC's assignment of most 20th-century warming to CO2 emissions and its model-based projections of future climate. For example, scientists from the University of Rochester and the University of Alabama have analyzed the temperature record over the last 30 years and found that almost all past warming can be ascribed to natural ocean cycles. This finding is supported by University of Wisconsin mathematicians, who showed that the Earth's system of natural ocean cycles switched states around 1910, 1940 and 1970, leading to the sequence of warming, cooling, and warming that began around those years. Also, they found that these cycles are now in a cooling state that will persist until around 2035. While the Earth has stubbornly refused to conform to advocates' predictions, worldwide CO2 emissions have been literally going through the roof. Furthermore, the International Energy Agency and other groups project that emissions will continue to increase rapidly, despite the Kyoto treaty and other publicized emissions-reduction commitments. The increase is driven by developing Asian economies, but even Kyoto signatories are largely off track in meeting their 2012 emissions targets. Also, key industrialized countries are reducing their longer-term commitments, citing economic costs and the recent downturn. Worse yet, analysts at the University of Colorado and elsewhere have shown that even the most aggressive shifts to renewable energy are not enough to prevent the future buildup of greenhouse gases to levels much higher than today. They charge that the IPCC has been too optimistic in its assumptions and may significantly underestimate the technological challenge and economic costs associated with stabilizing atmospheric CO2. Advocates' reaction to these and many other developments can only be called bizarre, suggesting the onset of cognitive dissonance. Al Gore has called for civil disobedience to block construction of new coal-fired power plants. So much for the rule of law. When asked about specific new developments, IPCC Director Pachauri declared, "I refuse to accept that a few papers are in any way going to influence the long-term projections the IPCC has come up with" - a stunning display of arrogance and disregard for the scientific method. And in the absence of warming, "global warming" has morphed into "climate change," allowing advocates to make laughable claims that specific weather events are ascribable to human activity. One can ask, "Do increasing emissions matter?" After all, objective scientific evidence weighs against alarmist claims of impending warming catastrophe. The answer is still, "Yes," because there remain risks of greatly increased atmospheric CO2, against which humanity may wish to buy an insurance policy. Climate models can't predict climate. That alone is reason for rational concern. Even without appreciable warming, the risks of ocean acidification, geochemically-induced methane releases, or simply the unexpected should give us pause, especially in the light of the emissions projections cited above. So what to do? Must we choose between doing nothing or enduring the massive economic costs and the political and social consequences of government restrictions, taxes, and market manipulations? These costs may readily exceed $50 trillion by mid-century and could run to more than $100 trillion. There is a third alternative - technology. Throughout history, technology has enabled human progress and contributed solutions to problems of human origin, and this is no exception. New technology for greatly reduced costs of carbon-free energy is needed. But I want to mention here an emerging development that readers may not have heard of - air extraction of CO2. Air extraction is a process for taking CO2 directly out of the air and preparing it for permanent disposal in geological formations. Similar technology is available now for removing CO2 from coal power-plant flue-gas, but it is very expensive. Even so, all recent scenarios for dealing with future emissions include a large component of CO2-capture-and-storage from hydrocarbon-burning power plants. 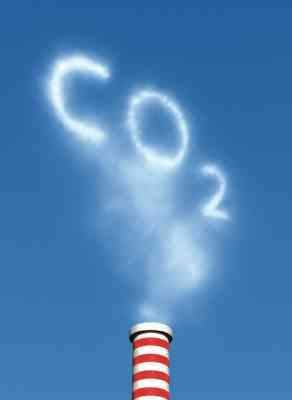 Capturing CO2 from the air around us has vastly greater potential. Not only can it offset power-plant emissions, it can offset all other sources, including transportation, industrial, commercial and residential sources. In principle, air extraction can more than offset all human and natural emissions and reduce atmospheric CO2 below current levels. And it can do so without adverse environmental impacts. Can it be done and done cheaply? Recent scientific developments have demonstrated technical feasibility. The cost of air-extraction technology, fully developed and implemented on a large scale, would likely be less than the equivalent of 20 cents per gallon of gasoline or 1½ cent per kilowatt-hour of electricity. Not small, but far less than Draconian government-inflicted energy cost increases. Through technology, we have within our grasp a low-risk atmosphere without significant sacrifice of economic progress. Government can help by funding and providing tax incentives for new technology research and development. Government should avoid what it has done consistently and unsuccessfully in the past: picking winners by mandating or subsidizing uneconomical technologies. Most of all, it should avoid - now more then ever - economy-crippling energy taxes or "cap-and-trade" schemes. Roger W. Cohen lives in Durango. He is working with Global Thermostat, LLC, a firm engaged in developing and commercializing air extraction technology.